The artist behind the beautifully stitch-painted canvases of Once In A Blue Moon, Sandra Gilmore, will be in the shop on Friday, September 24 from 6-8:00 pm. Come in and meet this amazing artist. There will be light refreshments and lots of gorgeous canvases to see. The “Once In A Blue Moon” Trunk Show will be on display thru October 22, however, this will be your big chance to meet Sandra Gilmore. All canvases purchased from the trunk show will receive a 15% discount; 3K Club Members will receive a 20% discount (includes special orders from the catalog). Purchase a trunk show canvas during this Meet & Greet and receive a coupon for 20% off threads for that canvas (expires 10/31/10; 1 time use only). We have 2 customers who won ribbons at the 2010 Minnesota State Fair. 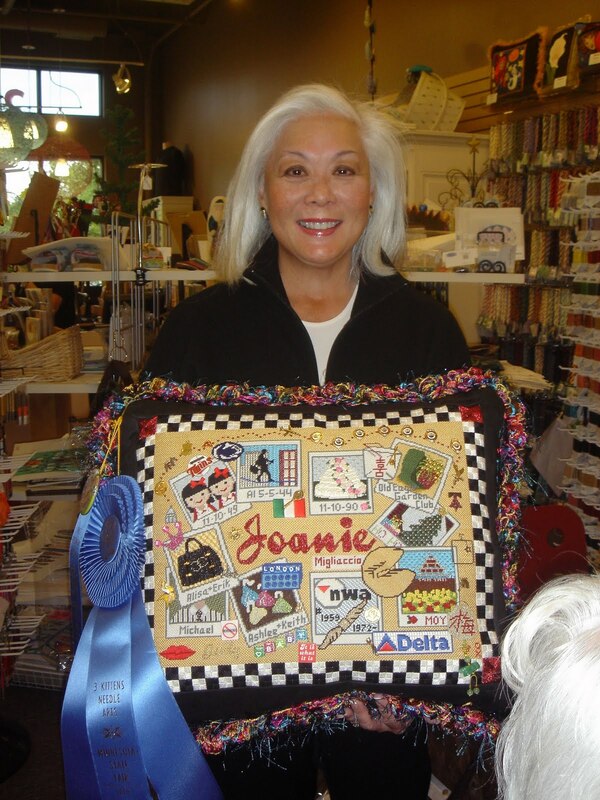 Judy Kishel won the First Premium ribbon for her fantastic needlepoint pillow she made her sister (it is full of symbols of her sister’s life). It is stunning. Julie Mast (one of the owners here at 3 Kittens) helped with the design. 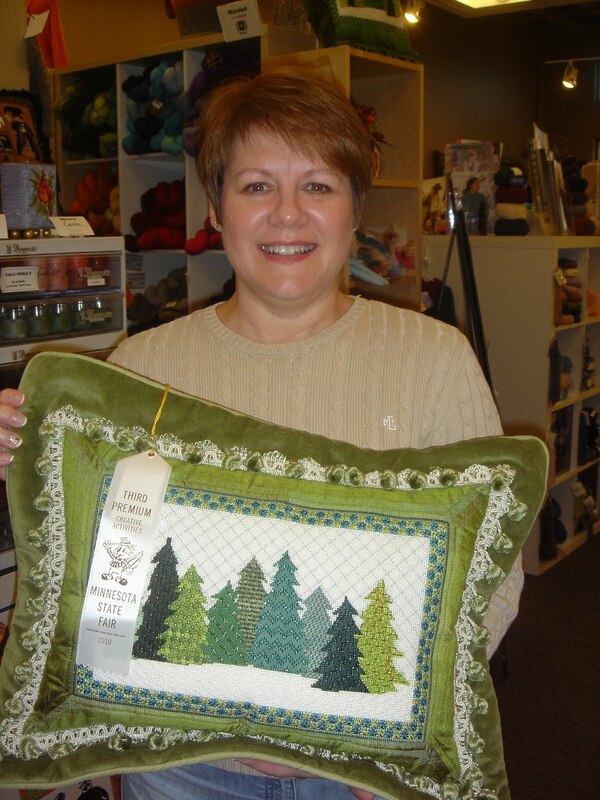 Deb Erhart won a Third Premium ribbon for her wonderful winter tree pillow. There is also an employee here at the shop that won a ribbon at the 2010 Minnesota State Fair. 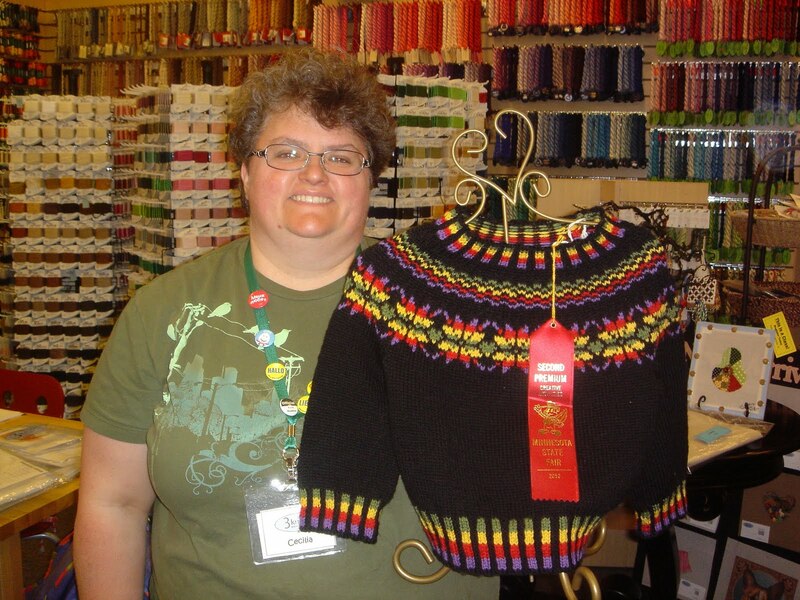 Cecilia Wright won a Second Premium ribbon for her colorwork child sweater. She designed it herself. It is on display here in the shop right now so you can stop by and check it out. We just received in a really cool yarn, LOL from Marks & Kattens. It is made out of recycled plastic bottles. It is a bulky weight yarn and we have several bright cheery colors. It has a great price point and would be good for kid sized sweaters and hoodies. Americans throw away 2.5 million plastic bottles every hour. That is 60 million a day or 21900 million a year! According to the Beverage Marketing Corp, the average American consumed 1.6 gallons of bottled water in 1976. In 2006, that number jumped to 28.3 gallons. Plastic is easy to recycle – although few people do it. Today, 80 percent of Americans have access to a plastics recycling program. More than 2.4 billion pounds of plastic bottles were recycled in 2008. Although the amount of plastic bottles recycled in the U.S. has grown every year since 1990, the actual recycling rate remains steady at around 27 percent. Some studies show that only 10% of plastic bottles created are recycled, leaving that extra 90% to take up space in landfills and killing ocean life. Plastic bottles take up space in landfills. Many coastal cities use the ocean as a dumping ground, resulting in depleted fish stock, polluted beaches, and other health issues for the inhabitants. Plastic bottles make up approximately 11% of the contents of landfills. Recycling 1 ton of plastic saves 7.4 cubic yards of landfill space. If you want to get some more information about recycling and living a greener life, please check out http://livegreentwincities.com. It is a great site with lots of helpful hints and events here in the Twin Cities area. It is indeed the end of summer… to mourn (or celebrate depending on who you are) we are having a sale on cotton and linen yarns (includes blends) and threads. 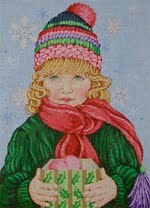 Just come in and buy any yarn or thread (excluding sale items) and get 25% off the purchase. It applies to in stock items only. The sale will go through the end of September. Stock up for next spring! 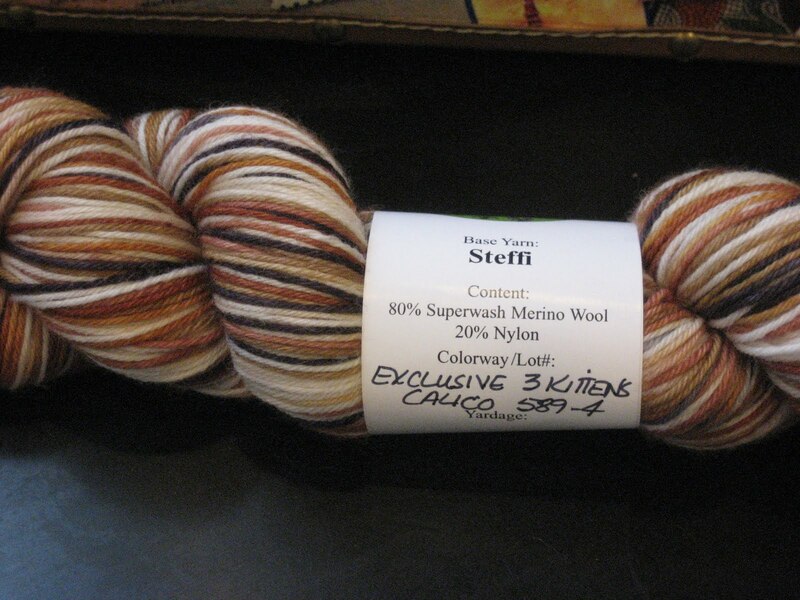 We have just received in some great sock yarn (Steffi) from Land O Lace. It is so pretty and soft, plus it is hand dyed right here in MN. The company likes to dye yarn so there is not a lot of pooling and she names them all after towns in Minnesota. Wouldn’t it be fun to knit a sock on your way to Little Falls with the Little Falls colorway? 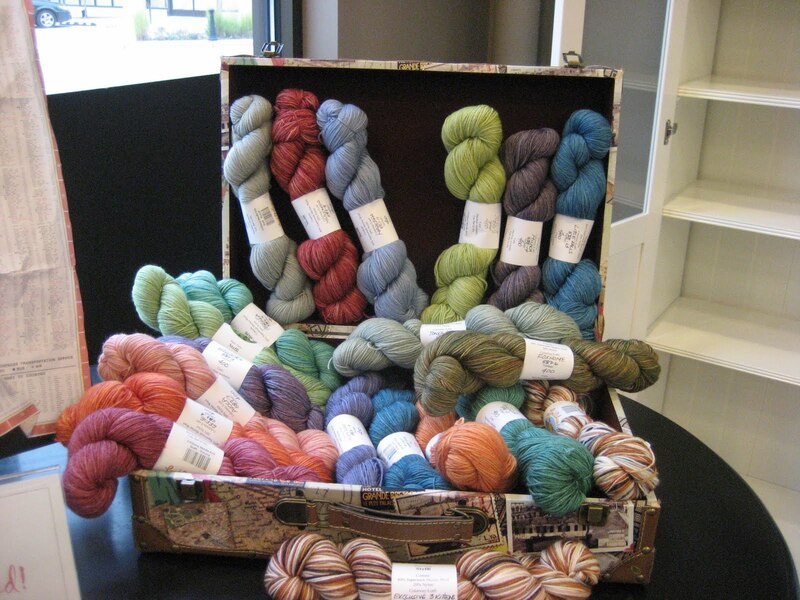 We are the only store in the Twin Cities that carries this yarn. She has also dyed up a color just for 3 Kittens: it is Calico. Is it not just too cute? Come in and touch and see this yarn because it is fabulous!